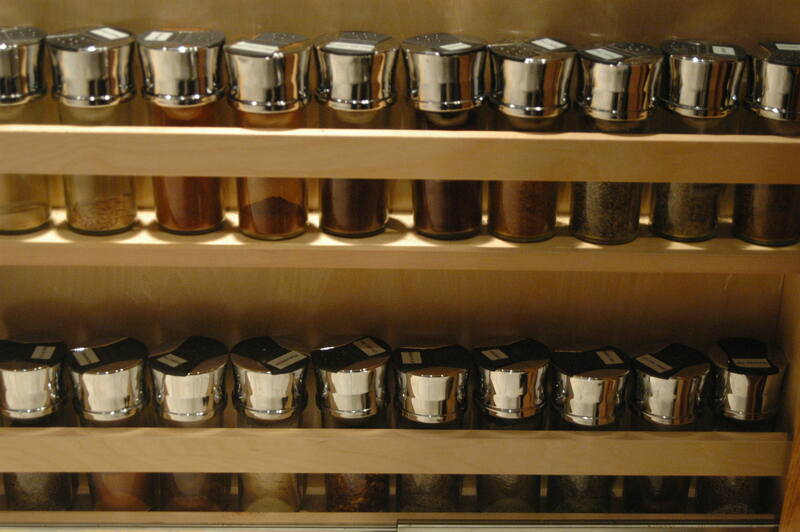 We loved our spice rack in Gilroy. It was custom-made to our specifications. When we got to Hemet we didn’t have anything like it. We put our spices in a drawer, but it was quite a jumble with the jars falling all over the place. So we asked my dad if he could make us a set of dividers to help us organize the drawer. He was happy to do that and brought it over last week. It fit perfectly and made a huge difference. On Saturday I arranged the jars in a way that is intuitive probably only to me. Terry, however, seemed to be able to make some sense of a similar scheme I used in the old rack. 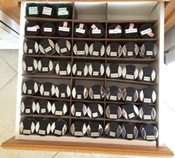 On Sunday I made labels for those few lids that did not have them. In some ways this is an improvement, as in the old rack we had to lean over and peer under the top rack to find something on the bottom rack. Here everything is all visible in one place. I believe this is going to work out well.